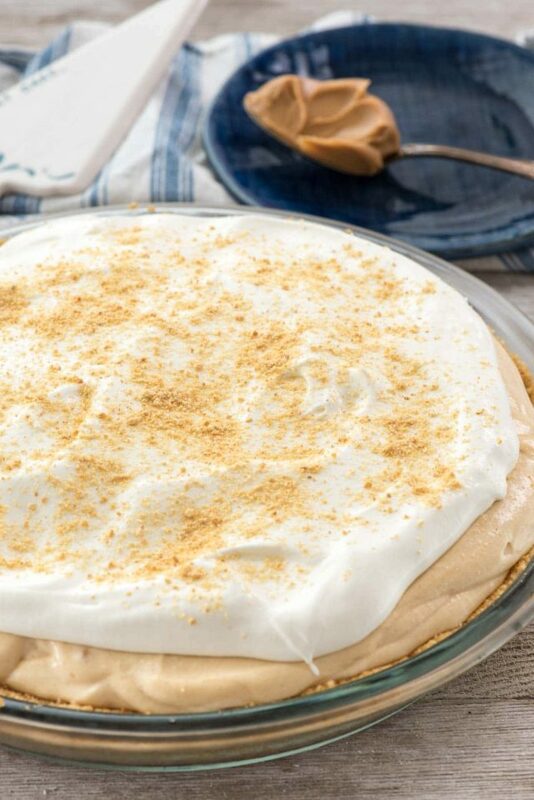 No Bake Peanut Butter Pie is an easy no bake pie recipe for peanut butter lovers! It is loaded with peanut butter and a no bake graham cracker crust! It’s creamy and everyone loves it! Next weekend is my husband’s birthday and I have no clue what dessert to make him. If you’ve read this blog for any length of time, you’ll know that Mel has his own tag, Mel ate it. You’ll notice there’s not a ton of recipes on that page, especially since for 6 of the 7 years I’ve been blogging I’ve only created dessert recipes. I know what you’re thinking: I married a man who doesn’t like dessert and I run a dessert blog? I know, it’s ironic. Basically, other than the real food recipes on that page, you’ll notice 99% of the desserts are either carrot cake or peanut butter. In fact, those are the only desserts he ever really eats that I make. And really, he only eats them if (1) it’s Christmas, (2) it’s his birthday, or (3) I make him. For his birthday, I’ve made carrot cake ice cream cake, peanut butter cookies, peanut butter ice cream brownies, and naked carrot cake, among other things. He mostly likes ice cream or cookies, doesn’t much like cake (unless it’s carrot) and really doesn’t like pudding. Pretty much, even though this no bake peanut butter pie is all peanut butter, he wouldn’t want it. I should really just stick a candle in the main course and call it even. As it is, he’ll eat exactly one bite of whatever I make. So I’m still lost as to what to make him…any ideas? 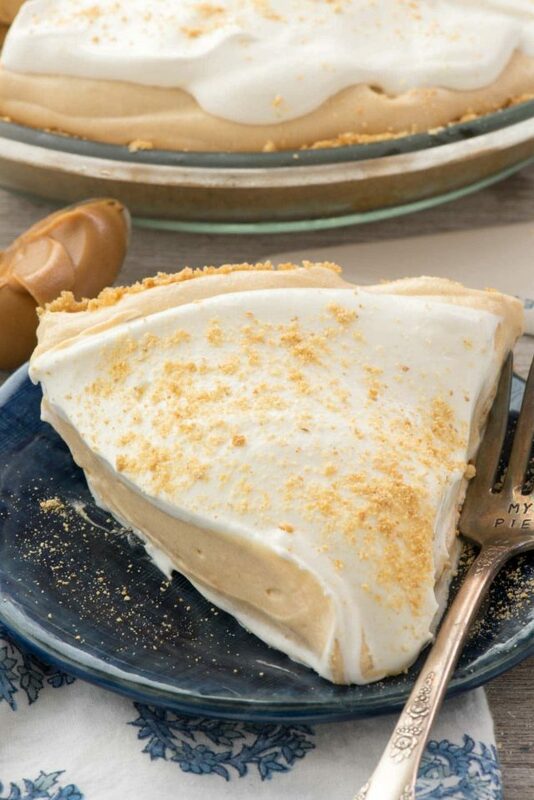 In the meantime, YOU should make this peanut butter cream pie. It’s completely no bake with a graham cracker crust and it’s so creamy and delicious that I had to re-home it or I would have just taken a fork and a pie plate to the couch to watch Real Housewives. I know that most of the time you see peanut butter and chocolate together in pies. After all, I’ve made a peanut butter chocolate cream pie and a peanut butter twix pie, and both have chocolate. But sometimes….sometimes I just want peanut butter. Is that weird? Now, I’m not saying this pie wouldn’t pair amazingly with an Oreo crust, but I felt like graham crackers and peanut butter…which is actually another thing Mel likes…so I just went that route. You could also use a peanut butter cookie crust…or maybe a chocolate chip cookie crust…or even a shortbread crust for this pie. Just make sure you fill it with an easy, no-bake peanut butter pudding filling. Or if you’re in the mood for something other than peanut butter, try no bake Pina Colada cream pie or no bake banana cream pudding pie. You can definitely use a store bought crust if you want, but I love my graham cracker crust. Cheesecake or vanilla pudding mix would be perfect for this pie. There’s no cream cheese in the recipe, so it’s easier to mix! Just make sure you chill it at least 4 hours before slicing. If you need it faster, freeze it for about an hour. Top it with graham cracker crumbs or even some chocolate candy, if you want. No bake peanut butter pie is a “company pie”, as I like to call it, because if you don’t serve it when company is over, you’ll eat the whole thing yourself! Peanut butter measuring cup – this makes it so easy to measure out sticky ingredients without all the mess to clean up! No Bake Peanut Butter Pie - this easy no bake pie recipe is all peanut butter with a no bake crust! It's so creamy and everyone loves it! Whisk pudding mix, milk, peanut butter, and vanilla together. Fold in one container of whipped topping. Pour into prepared pie crust. Cover with plastic wrap. Chill for at least 4 hours or overnight. Before serving: top with additional whipped topping. Store in refrigerator for up to 3 days. 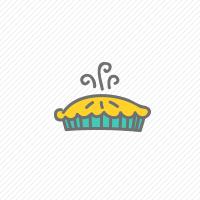 Pie can also be frozen for a cold treat or to store. I’m struggling with the measurements on the pudding and cream. How much is a box and what is the measurements for a container of cream? ?